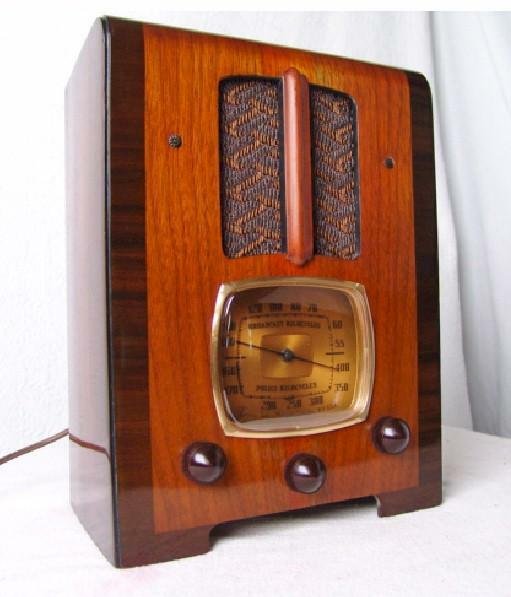 Beautiful petite tombstone style radio. Plays great, and looks even better. Famous "Ingraham" made cabinet. AC/SW, and the obsolete police band. Needs a short external antenna for best reception. Flawless cabinet before restoration. 14"H x 10"W x 7"D.
You are visitor number 3,070 to this page.